Chinese teen Wu Yibing is in the midst of his first full year as a professional. Chinese teenager Wu Yibing with Roger Federer and coach Nahum Garcia Sanchez. Wu Yibing visits the historic drum tower and former city wall in Ningbo, during a break from the ATP Challenger Tour event. Wu Yibing visits the historic drum tower and former city wall in Ningbo with his coaches and physio. Wu Yibing visits the historic drum tower in Ningbo, China, during a break from the ATP Challenger Tour event. Yibing Wu of China, second from the right, participates in the 2017 Chengdu Open draw ceremony on Saturday. Wu Yibing claims his maiden ATP Challenger Tour title on home soil in Shanghai. 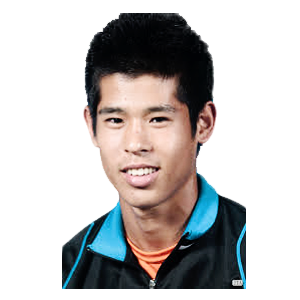 Wu Yibing is the youngest Asian-born Challenger finalist since Kei Nishikori in 2007. Yibing Wu looks to continue his success at the ATP Challenger Tour stop in Shanghai. China's Wu Yibing is hitting the ATP Challenger Tour after winning the US Open boys' singles and doubles titles.